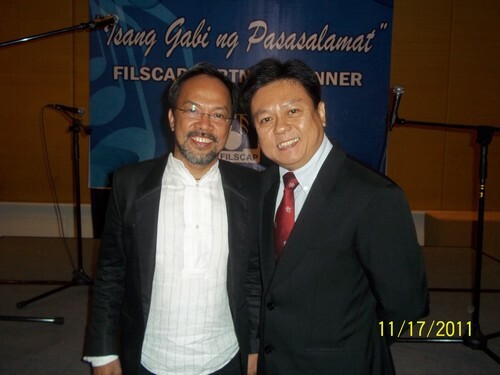 PAGASA was invited to the Appreciation Party of the Filipino Songwriters, Composers, Arrangers and Producers Association (FILSCAP) at the EDSA Shangrila. In picture, STC poses with FILSCAP Pres. Noel Cabangon, famed nationalistic singer/composer. PAGASA is considered a partner of FILSCAP in espousing the intellectual rights of its members.